Do you need to get better at real estate marketing for Twitter? We’ve got 5 real estate marketing tips for Twitter that you can start using right now! Generating real estate leads–whether here in Northern Virginia or in any local market–can be as simple as building your brand on Twitter (and sending the right messages to the right people). In this post, we’ve listed some of our own cool discoveries about Twitter. In mastering this noisiest of social media platforms, here’s how even the busiest of real estate professionals can use Twitter strategically. Build your brand, without drowning in a sea of competing voices. If you know how to manage it, Twitter is a platform tailor-made for local lead generation. In fact, as a Realtor you should be aware of the power of Twitter to drive prospects your way in a remarkably efficient manner. Brand stewardship, the sales funnel, and the importance of connecting with potential clients…there’s nothing new here. Twitter is just a unique way to perform all these old marketing maneuvers. To get you started on your own social media marketing campaign, here are the 5 Twitter essentials every Realtor should know. Nail these, and you’ll be fielding Twitter leads like the pro that you are. Twitter is great for building your brand, but figuring out where it fits into your business can be daunting. Diving into heavy Twitter activity without a first having a well-developed positioning statement could mean you’re wasting your time, at best. At worst, you’re committing social media blunders that could damage your reputation somewhere down the road. Even famous and powerful Twitter users well-schooled in the fundamentals of branding have made serious gaffes on Twitter- Al Roker, Mark Cuban, a Virginia State Senator, and even a press secretary (whose job is all about communication, after all!) have all made career-damaging Tweets in the past. And top brands with mega-sized budgets for social media marketing aren’t immune to Twitter gaffes that made onlookers wince. In just the last couple of years, McDonald’s, US Airways, and LG have all committed deeply damaging Twitter mistakes. The point is, you should really figure out what your brand’s position will be on Twitter before you ever post your first tweet. To do this, take stock of your brand. Who are your ideal clients, and how can you reach them? Once you find them, how will you stand out in a sea of Realtors on Twitter? Know who your ideal clients are and what they’re looking for. Young families? 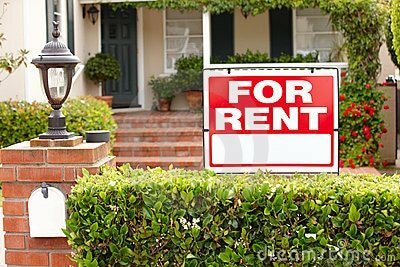 People who’ve recently moved to the area? Young professionals? Each of these groups will be interested in very different local resources–and will need very different types of real-estate-related information. Decide what you’re going to tweet: Will you limit your tweets to real-estate-specific subjects, or will you offer glimpses into your personal life as well? You want to make human contact but there’s a limit to how many everyday details your followers will find interesting. Figure out how to excel by offering better content than your competitors. If they offer tips on buying a home, beat that by offering followers something they haven’t seen before (more on this below, in Essential Tip #3). And whatever you do, don’t make the mistake of just broadcasting out your listings willy-nilly. That’s not really meeting anyone’s needs. It’s just adding to the noise in the Twitterverse. You could say Twitter is tailor-made to provide endless marketing ideas for Realtors. That’s because as a real estate sales agent, you have one great advantage over other types of businesses: You are your own brand. Thus, it’s perfectly natural for you to set up your Twitter account under your own name rather than a business name. And it’s way better to be a person on Twitter than a business. Years of Twitter stats now prove that people prefer engaging with people over businesses. That goes for your profile picture too. Don’t use a logo, a snapshot of a house, or anything else other than a picture of yourself. You are your best asset when it comes to reaching out and engaging your followers and turning them into leads…so put your profile to work for you. Think of it as your business card. Just like working a room, when you use Twitter the goal is to be engaging. Although you’re limited to 140 characters, tweet naturally like you’re having a conversation. This is not the time to be using cute chat acronyms like 4COL (for crying out loud). Be interesting, be useful, and be relevant. And use pictures when you tweet! Sharing local content (like images of places your target market would know) is especially relevant for Realtors. After all, you’re looking for local leads. As with just about everything else online, good content will get you places. Whether it’s sharing other people’s tweets (“retweeting”), sharing useful articles you’ve come across, or republishing useful content on your own website, always ask yourself first, before tweeting, if you’d find it to be of value if you were in your ideal client’s shoes. Stay on top of what third-party tools are available to help you with engaging your followers. One is IFTTT (“If This Then That”), which makes retweeting automatic, among other things. Let’s say you’re a Realtor in Fairfax and your goal is to develop lead potential via Twitter. You’d like to engage your followers with useful tweets and you’ve come up with the idea of keeping them informed on local real estate news. Well, guess what? You can manually do tedious online searches via online newspapers covering Fairfax and tweet them, OR you can have IFTTT do it for you. (We sort of prefer the automated approach.) As long as those local sources have Twitter accounts, IFTTT will retweet any of their relevant tweets for you. Meanwhile, you can be elsewhere, doing more important things. Just as you would do when moving to a new neighborhood, see who’s nearby and make friends on Twitter. Twitter’s search function is very often missed by Twitter users who, sadly, never benefit from this awesome feature. You’ll have to enable your settings to allow for Twitter to learn of your location…enable that and then let ‘er rip. You’ll be presented with a handy list of Twitter accounts managed by people in your neighborhood. And in the Northern Virginia region, don’t forget local hashtags like #NOVA, #NorthernVirginia, and town names like #Herndon, #Reston, #Arlington, etc. For local interest news items, try combining those local hashtags with interest-based terms that your target market would be interested in. Perhaps terms like #FarmersMarket, #FoodTruckLove, or #Jazz. After identifying local “tweeps” you want to connect with, strike up a conversation–and enjoy the dialogue with a potential lead or local connector. Influencing your followers in the non-linear world of Twitter is hard enough, even before you begin worrying about how you’re going to track them as well. But tracking is essential–know your customers and their behavior, so your efforts at engagement aren’t wasted. There are useful apps for tracking your followers and even finding out who the bad ones are and weeding them out of your account like so many uninvited guests. This becomes a cumbersome task once you have a good number of followers, so having a tool to do this for you is key. One such tool is ManageFlitter. It will scan your list of followers and weed out the “fake” accounts. What you end up with is a highly relevant collection of followers who are more apt to hear your message, engage with your tweets, and maybe someday become clients. In other words, Twitter holds the promise of bringing you “the good leads”, from the prospects you want in the neighborhood you’re targeting. Connecting with the right people and sending the right message have always been what real estate boils down to…Twitter may simply get you there faster. On top of that, we focus 100 percent on residential property management and leasing and there are no other PM firms in the area that we are aware of who can say this. 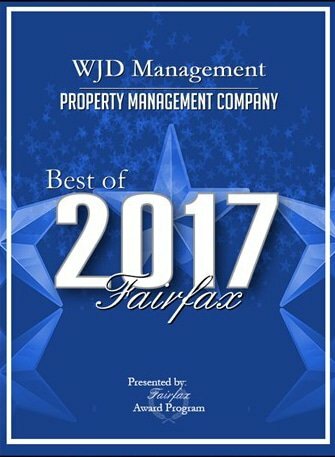 What this means is that if you refer a client to us for property management, there is zero competition because we do not list or sell real estate; your clients remain your clients after you have referred them to WJD. To learn more about our Referral Program simply visit our Client Referral Page. Also, be sure to join our Referral Network. Finally, don’t forget to connect with us on social media! Follow us on Facebook, Twitter, LinkedIn, Instagram, and Pinterest for tips, ideas and updates. WJD Management is a contributor to Inman, a real estate news provider for realtors and brokers.